This adorable winter center is so easy to make! Make once – use for up to six weeks!! 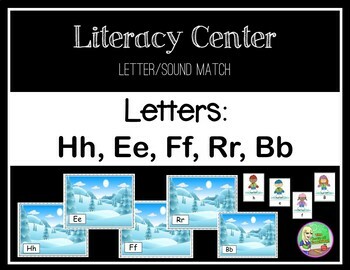 This versatile January literacy center can be used 3 ways: Identify the Letter’s Name, Identify the Letter Sounds or Identify Uppercase and Lowercase Letters. 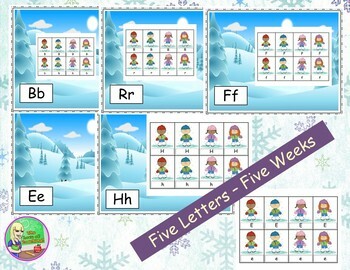 Designed corresponding to the ©McGraw Hill Reading Wonders Kindergarten Letter order. This corresponds with Units 5 & 6. 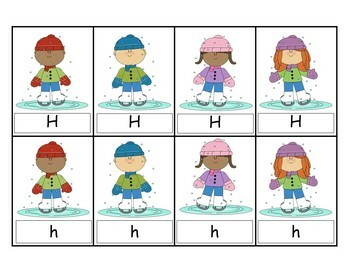 Includes a blank mat and set of cards, in case you are using a different order of letter introduction. Student's love this station! Preschoolers and kindergarteners can practice early literacy skills with these super cute mats and cards. Saves on center prep, because it lasts six weeks! Great for letter recognition!